An injured fellrunner was airlifted from a Lake District mountain after falling during a race. The 60-year-old was taking part in the Anniversary Waltz event round the Newlands Horseshoe. The runner fell on the first major mountain, Robinson, suffering a broken collar bone. Keswick Mountain Rescue team was called out about 1.10pm on Saturday. 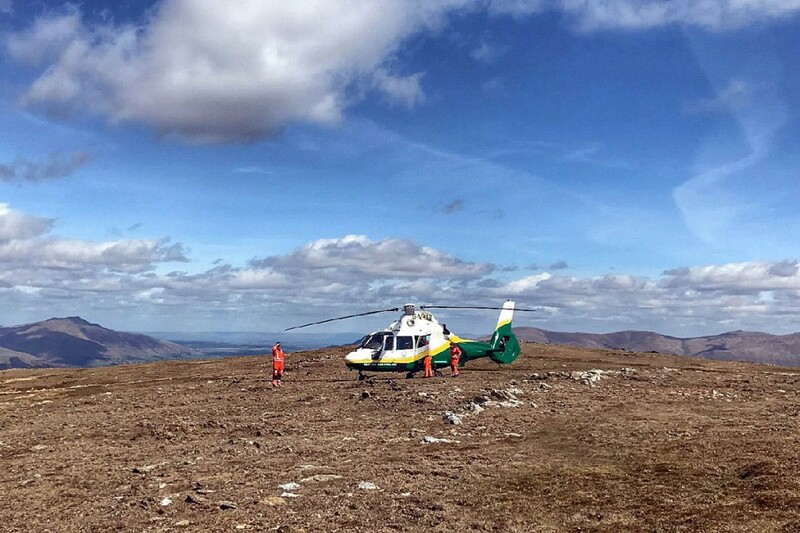 A team spokesperson said: “One team vehicle left within 15 minutes of being paged, while control requested the assistance of an air ambulance, given the casualty’s pain score and the danger of hypothermia at a very exposed location. “The second team vehicle left five minutes later, and crews of both vehicles went on to the fell from the top of Newlands Hause, being the closest access. “Meanwhile, the Great North Air Ambulance, Helimed 58, had been tasked to the incident, and as helicopters climb hills better than fit team members, got to the scene just ahead of the lead members of the first truck. “The casualty was assessed, and it was decided that he should be flown to the Cumberland Infirmary. The team stood by until the aircraft was airborne, and then made their way off the hill. The 2¼-hour rescue involved 13 Keswick MRT volunteers.